There are several public housing projects currently undertaken by various state governments across the country with the aim of easing acute housing shortages while also alleviating the plight of the masses. However, few of such projects meet the expectation of the people in terms of time of delivery and building standard among others. The Lagos State Home Ownership Mortgage Scheme (HOMS) is a model, according to experts, that should be emulated. 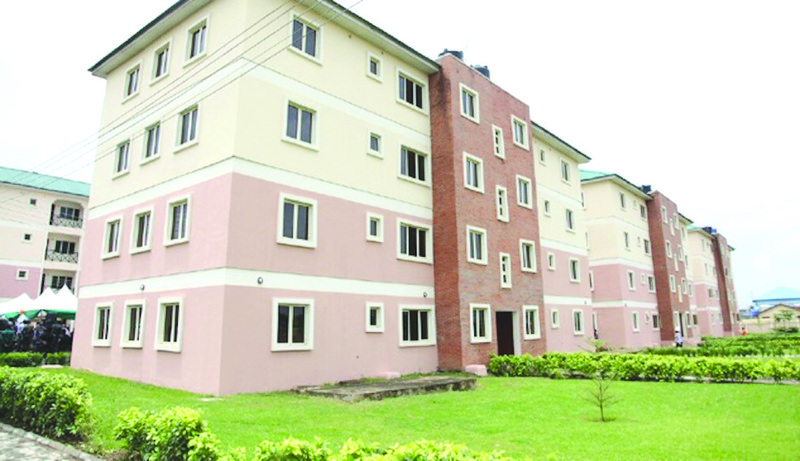 The HOMS project, the Lagos State government says, was undertaken to bridge the supply gap in housing stock in the state and to ensure that the government lived up to its responsibility of providing affordable shelter to citizens. Developed in phases, the project is taking place across 12 centers in the state including Ikorodu, Mushin, Surulere, Lekki, Magodo and Gbagada among other centers. The HOMS, experts say, is the most successful public housing mortgage scheme in the country since the former governor of the state, Kayode Jakande era, whose administration is reputed to have built 21,000 housing units between 1979 and 1983. “Jakande is the most successful governor in terms of providing affordable housing,” says Jasper Akinola, a property developer. Since then, housing projects have been stifled due to lack of access to affordable mortgage finance until now. Already, the state government has delivered the apartments to lucky winners via a public held ballot. Governor Babatunde Fashola while responding to critics said the apartments are low cost housing because they attract 25 percent discount. While the Lagos HOMS has become a reference point for efficient housing delivery, the same cannot be said of most other public housing schemes across the country. Experts have regarded some public housing scheme as failed projects. The controversial Iyekogba Housing Estate in Edo State constructed under the Lucky Igbinedion administration is a case in point. Originally billed to accommodate 200 housing units at a cost of N1billion sourced from the capital market, the scheme could only muster 50 units due to low demand associated with the high cost of the houses. The houses were billed to be sold for between N10 million and N15 million but later reduced to N6 million after negotiation with few buyers who also demanded that they be allowed to remodel the houses to their taste. The government made an error of judgment by importing fabricated wood from Canada used to erect the buildings, according to people familiar with the project, which resulted in the skyrocketing cost. “The estate is largely unoccupied with just few residents,” says Mr. Otasowie Imade who lives in the neighbourhood of the estate. The egregious case of the Niger State government, which resorted to disposing 90 housing units to recover its investment after the Federal Mortgage Bank (FMB) and a private developer failed to deliver the promised 250 joint venture housing units eight years after, left analysts wondering if the housing-for-all dream will be realized. Last year, the government blamed other parties for failing to deliver the 250 units as agreed even as it paid compensation to owners of the acquired 30 hectares for the project. To analysts, this is a classic example of government’s lackadaisical attitude to follow up on projects with the attendant consequences of abandoned projects. “If government cannot ensure that 250 housing units are delivered, bridging the estimated 17million housing units deficit is a utopian dream,” says Ben Ugbodaga, an estate management consultant. Professor Timothy Nubi, the Director of Center for Housing Studies, University of Lagos, says prominent housing projects such as FESTAC in Lagos and Shagari estates built all over the country failed due to poor selection of sites. Some private developers, according to Professor Nubi, have lost billions of Naira due to lack of feasibility studies. “Festac for instance failed due to poor site selection. The developers selected a site below sea level to build a town…,” he claims. The professor of estate management called for proper and adequate housing education which he described as the missing link in housing development. The general consensus is that public housing development across the country has been stifled by policy inconsistencies, corruption and governments that are out of touch with the misery of the people.